Charlotte is the largest city in the state of North Carolina in the US. Home to a population of nearly 1 million people, Charlotte is considered to be the epicentre of the region’s financial, industrial, technological and entertainment sectors. Top attractions in the city include the NASCAR Hall of Fame, Freedom Park and the Mint Museum of Art. 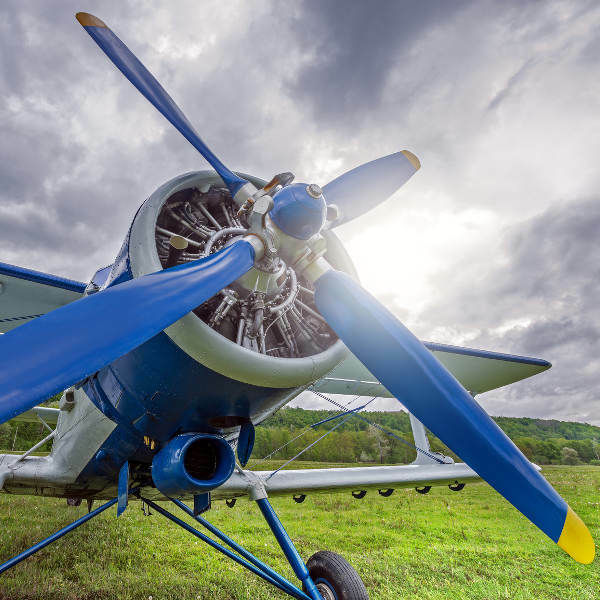 Prepare to be enlightened and entertained by the city’s attractions with cheap flights to Charlotte! Charlotte is home to Charlotte Douglas International Airport (CLT), a 15-minute drive from the city centre. Learn about the history and heritage of this industrious town, with interesting museums boasting unique facets of the city. From art museums to the NASCAR Hall of Fame, this city has lots for visitors to see and do! The city’s wealth of parks and green spaces creates a tranquil atmosphere, where visitors are free to walk, cycle, picnic and practise their swing on the lush turf. Charlotte is a holiday destination for the whole family. 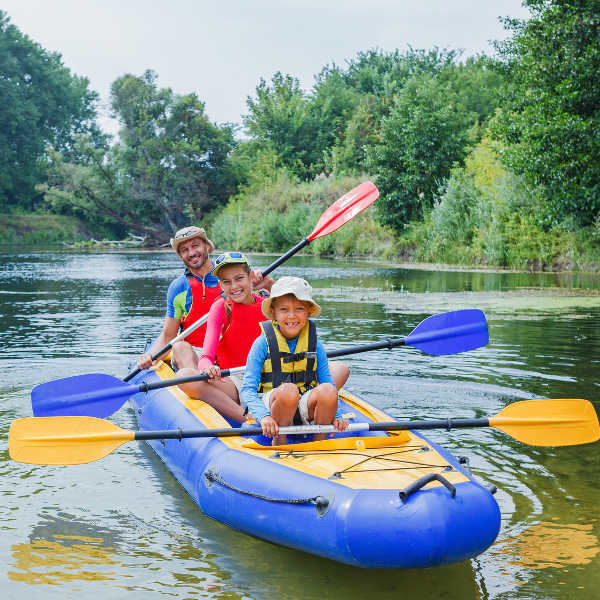 Enjoy water sports along the river, participate in science experiments at Discovery Place or head to Paramount’s Carowinds amusement park for the ride of your life! Summertime in Charlotte (June-August) is the most popular time to visit, with balmy weather, plenty of festivals and longer opening hours of attractions. However, you’ll be dealing with visiting crowds and excessive prices. Autumn (September-November) is a lovely time to visit, with cooler weather, thinning crowds and more affordable accommodation rates. Theatre lovers can enjoy the Fringe Festival in September, while foodies are treated to gourmet BBQ, wine and food festivals during October. Winter (December-February) marks the off-season, with attractions closing early; however, if you plan attractions ahead of time, you can take full advantage of cheap flights and hotel rates, in a quiet and cosy town. Charlotte is the largest city in North Carolina and is one of the fastest-growing and most successful cities in the Southern United States. It is steadily increasing its standing as a tourism destination both locally and internationally. Much of Charlotte’s original architecture has given way to glistening skyscrapers and apartment blocks, but there are still some historic treasures scattered in and around the city. The town houses a wide collection of museums, including the Mint Museum of Art, Levine Museum of the South, the Charlotte Museum of History and Carolinas Aviation Museum, for insights into the region’s cultures and discoveries. The NASCAR Hall of Fame depicts the history and heritage of NASCAR, intriguing not only racing fans. A little out of town, nestled along the Catawba River, you’ll find the Historic Latta Plantation – a prime example of a colonial plantation with information about yeomen, farmers and slaves. Modern Uptown attractions include the Bank of America Stadium and Lowe’s Motor Speedway. Paramount’s Carowinds Theme Park and Discovery Place are family favourites, with interactive learning centres and thrilling entertainment. 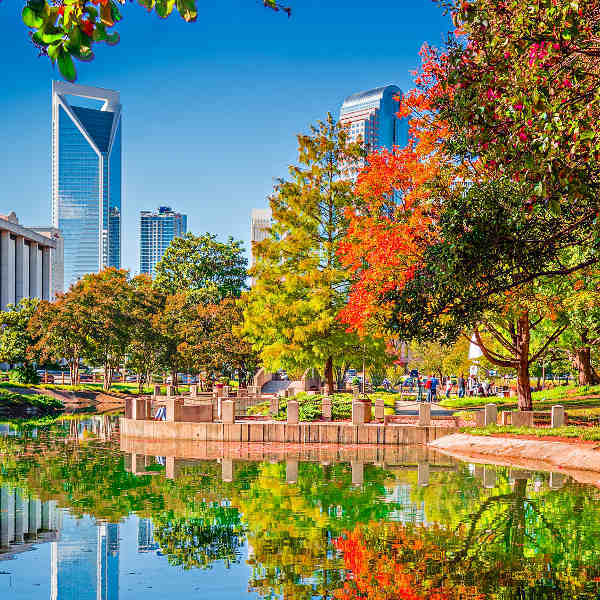 Celebrated for its ‘green’ spaces of tree canopies and lush parks, Charlotte is home to beautiful lakes and parks – a peaceful backdrop to this bustling town! Compare several airlines, and book your cheap flights to Charlotte online at Travelstart! Charlotte, along with the rest of North Carolina, is a fairly safe area with no violent crime known to occur towards tourists or locals. As almost all bars and restaurants accept credit cards, there is no need to carry around large amounts of cash. Exercise the usual safety precautions and be vigilant of your surroundings. Do not walk down unlit streets or empty alleyways at night and avoid attracting unnecessary attention to yourself. If you suffer from allergies, you may want to bring allergy medication to alleviate hay fever brought on by the city’s flowering trees and greenspaces.